heat kitchen appliance to 350ºF. gently spray a 9x13x2-inch pan with preparation spray. in an exceedingly massive bowl, mix the soup, sour cream, garlic powder and pepper. Stir in cheese and hash browns. unfold potato mixture into ready pan. Bake uncovered for fifty five to hr. 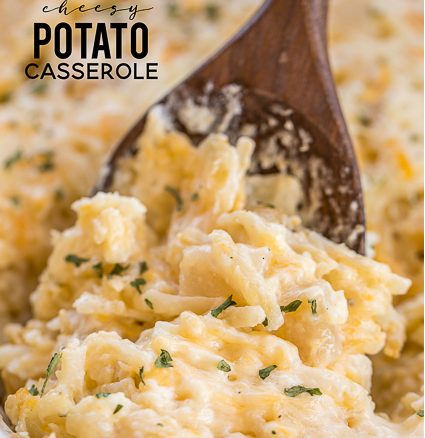 0 Response to "Cheesy Potato Casserole"